What little, or big, girl doesn’t dream of being a princess at some point in their life? Images of wearing a spectacular puffy pink gown, expertly dancing at a ball with the most handsome man and being the center of everyone’s attention. Even though I was not born into royalty I was going to get my chance to wear the glass slipper, so to speak. 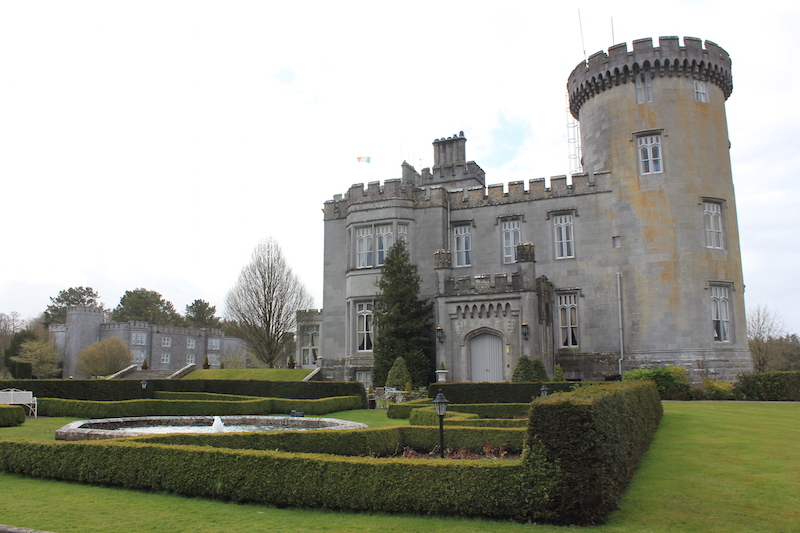 Tonight, I would be spending the night in a Irish castle with my prince (aka: husband Peter). A perfect evening fit for our Couples Bucket List. There may not be a fairytale ball or dazzling dress, but there will be a breathtaking castle and one unforgettable day. That will do just fine. The majestic Dromoland Castle in Clare spreads over 450 acres and is a picturesque Renaissance structure built in the 16th century. And it would be my home for one spectacular night. The absolute perfect place for my 24 hour fairytale. Driving up to the castle, through the perfectly manicured golf course that resides there, we were surrounded in a sea of green. Beyond this grassy lushness was the epitome of regal, a dark limestone medieval castle complete with a statuesque turret. Walking up the stairs into the Irish castle’s foyer, I thought about those who may have done the same before me. 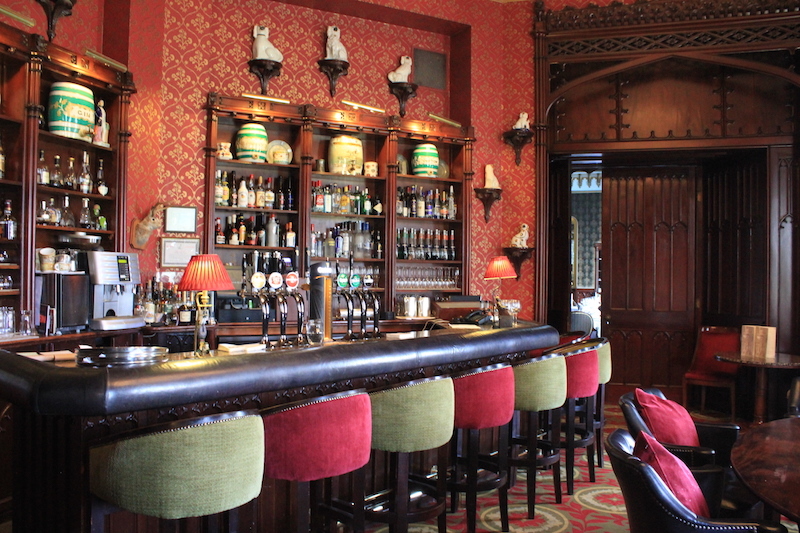 Since the 10th century Dromoland was the ancestral home of the O’Briens, Barons of Inchiquin and descendants of Brian Boru High King of Ireland in the 11th century. For the next 900 years a branch of the 0’Briens lived and ruled from this castle. These steps were certainly shared with royalty. We had arrived in the early afternoon, prior to check-in time, wanting to savor every minute here. 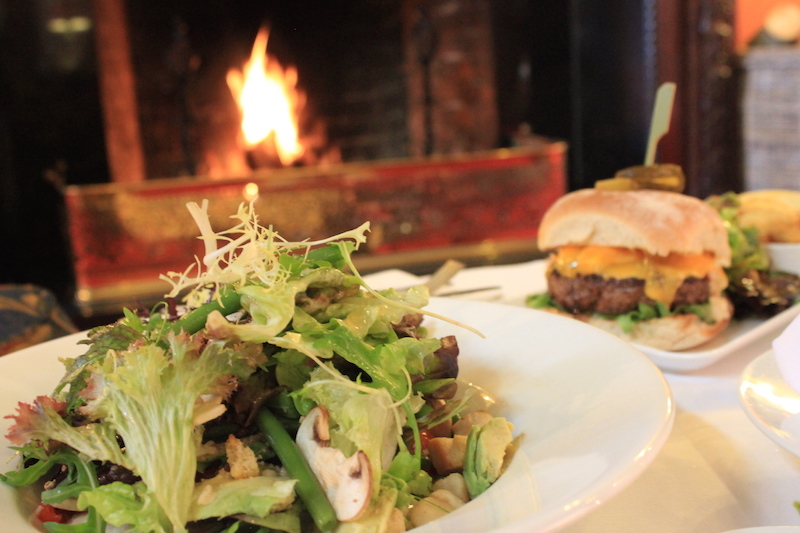 We chose to immediately enjoy a lighter lunch available in the Main Gallery. This was a warm sitting room with cushy seating, a high ceiling and an incredible golden chandelier. The fire was blazing which was a welcome change from the 7 degrees celsius (45 farenheit) weather outside. As Peter always does in just about every restaurant around the world, he ordered a hamburger that was cooked perfectly medium rare. My usual self, opted for a fresh salad with green beans, mushrooms sundried tomatoes avocado, hazelnuts and croutons. 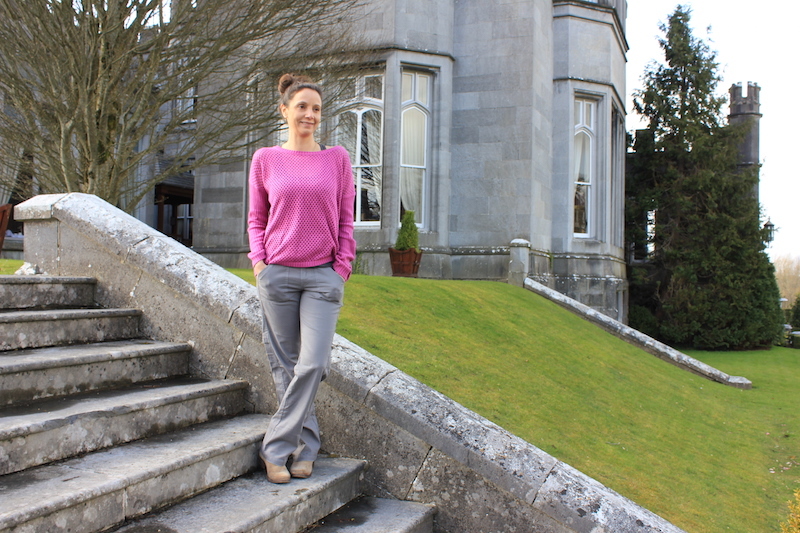 Dromoland Castle also offers a wide range of leisure activities fit for your bucket list, like archery, clay shooting and horseback riding. But, we chose to spend the afternoon getting a little insight into the ancient art of falconry and having a hawk walk experience. Spending quality time with the birds. We met our guide just outside the front doors of the castle. 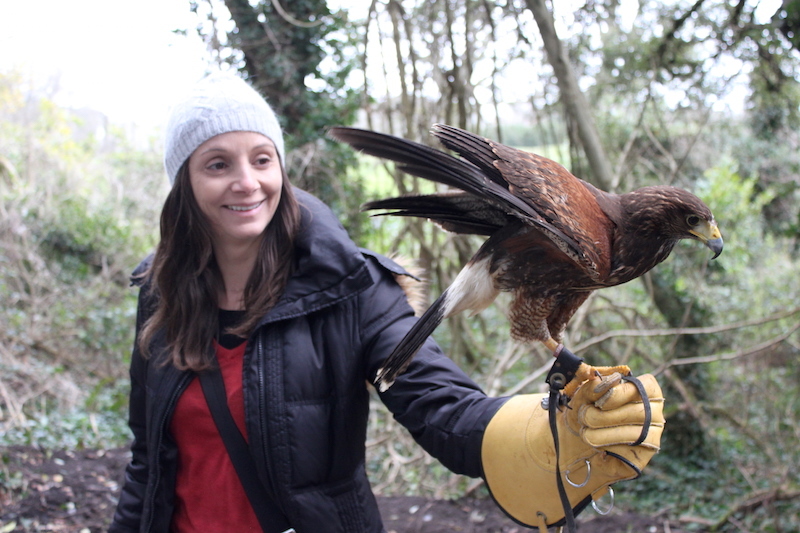 There we also met our hawk, Wilson, who we would be learning how to handle and fly. We spent the next couple hours walking through the forested grounds in front of the castle, learning everything about falconry from our incredibly knowledgeable guide and releasing Wilson into the trees then having him return to our gloved hands. 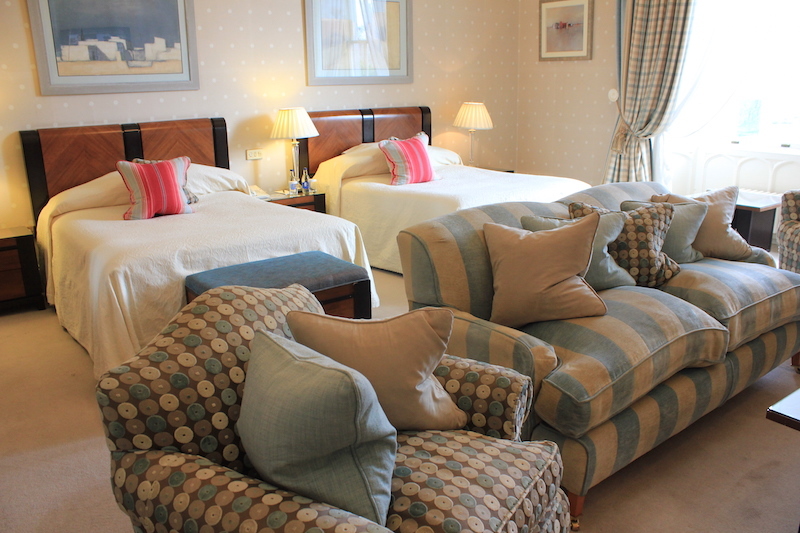 When we returned to our Irish castle, we were ready to relax in our room. Luckily, it was ready too. My jaw dropped as we entered the room that was definitely fit for my temporary princess status. Looking straight ahead, out the large windows, gave a view of the green grounds. To the left was two large beds and an armoire. In front of that was the sitting area, complete with flat screen television attached to the wall. 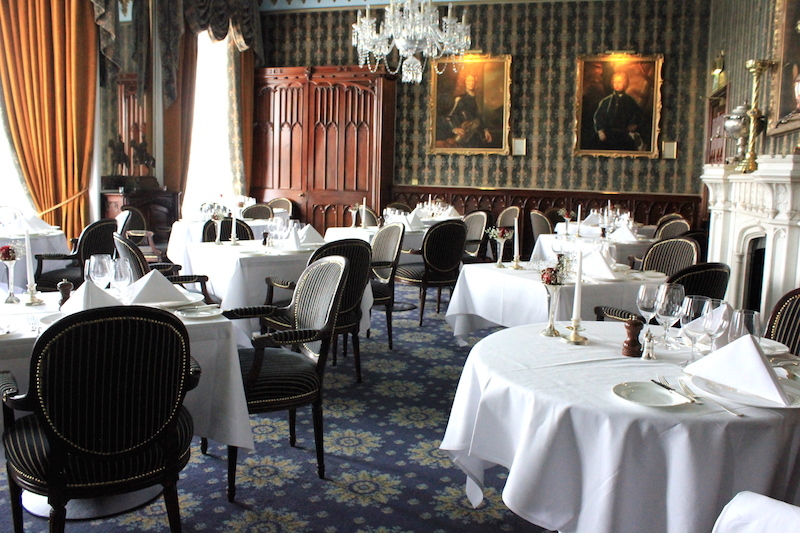 It was expertly decorated by designer Carole Roberts with damask wall coverings and antique furnishings. This one room seemed almost as big as my house. The bathroom was made for a lady, equipped with a tub, long countertop for makeup application and double sinks. After briefly lounging we decided to attend Mrs. White’s Afternoon Tea. Mostly, because I am literally Mrs. White. Mrs. Annette White. For a hot minute I thought they named today’s tea after me. I was a princess after all. But, that was not the case. Duh. 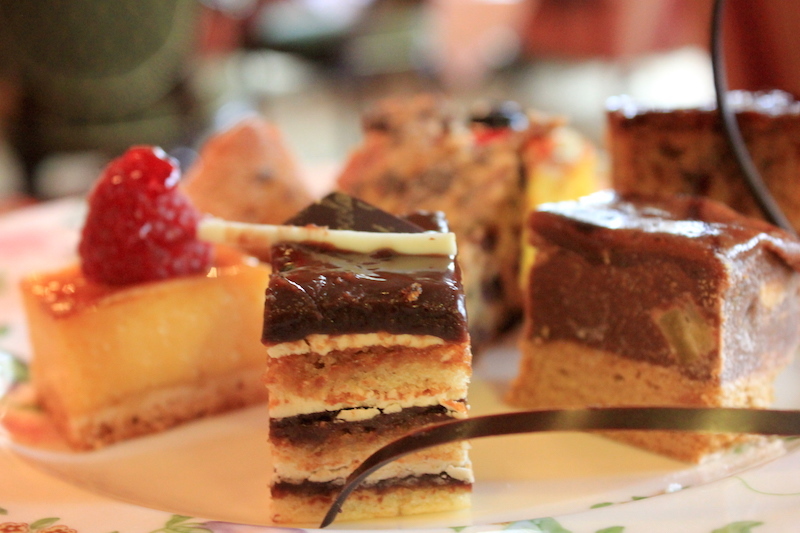 Dromoland’s Afternoon Tea is a long standing tradition, filled with delicious pastries, bite-size sandwiches and of course hot tea. I had previously indulged in an afternoon tea while in London and this one was just as delicious. Though this time I was sipping my beverage in a castle. It doesn’t get much better than that. Though our plan was to have dinner at the Earl of Thomond, their award winning restaurant, we weren’t hungry after tea, so we opted to have a glass (or two) of wine from the bar. The next morning was a sad day. Very sad. 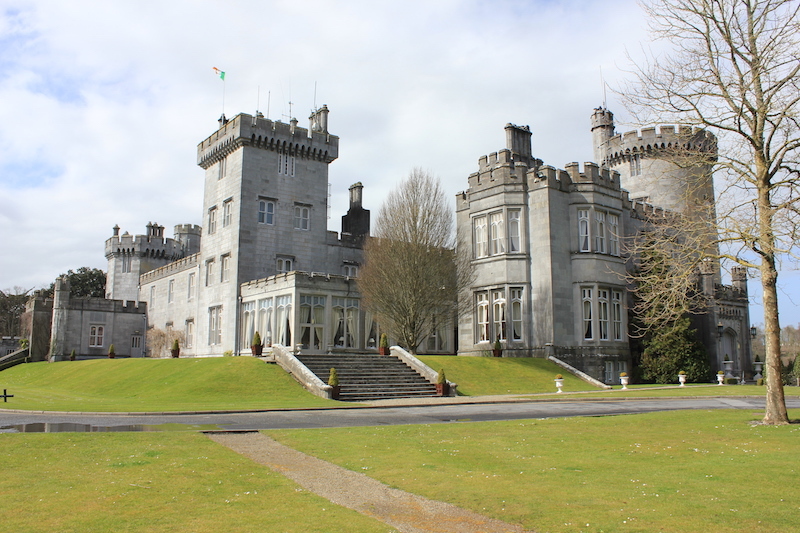 We had to depart Ireland’s Dromoland Castle. I wasn’t a princess any more. Wimper, wimper. Maybe a trip to Kiss the Blarney Stone will make it all better. We will see. 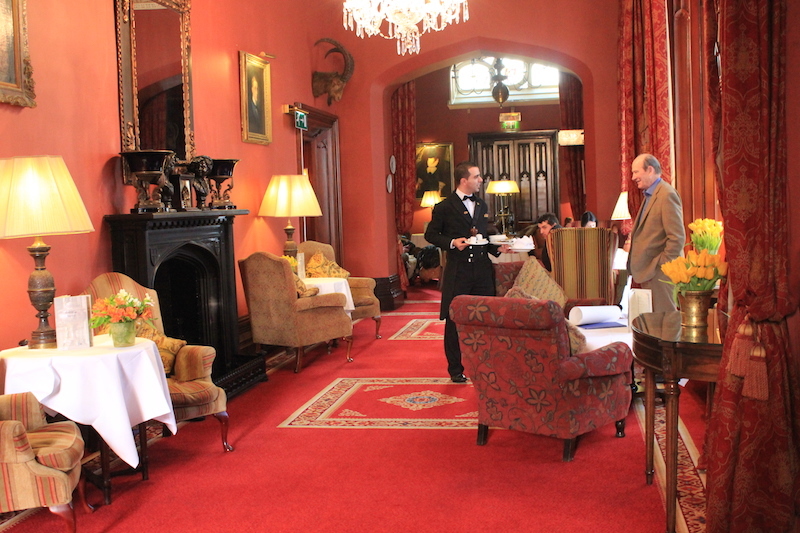 I bet staying overnight at a castle felt like Irish royalty. They even served cheese burgers. There was tea and cakes. Wouldn’t it be great to live like that? Great photos. 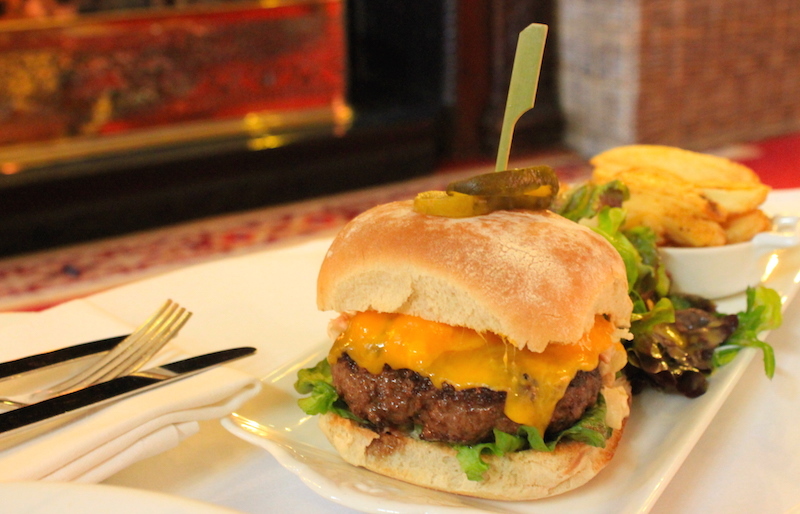 Great looking burger. Falconry! Suitable for a princess’s overnight game of thrones. What an amazing experience! I’m sure it was fun for you to stay overnight in a castle. Thanks for sharing! You must have felt like a princess! Last time I spent the night in a French Chateau some weird events happened… I am not the kind who believes in haunting places but I will never ever ever go back! Love your blog! I did feel like a (modern day) princess! I’ve never slept in a French Chateau, maybe that needs to be added to my bucket list!